There has been plenty of focus on millennials in the past few years, but it’s now time to redirect our attention to Gen Z. Right now Gen Z is entering the workforce and are ready to become the face of corporate America. While there are plenty of similarities between Gen Z and Millennials, let’s look at a few ways they differ. Millennials have been said to be collaborative and teamwork focused and want to operate in an environment where they feel included and part of something bigger. Gen Z is said to be more competitive and want to be judged based off of their individual performance. Gen Z also understands that there is a need for consistent development in skills in order to compete. This generation will do whatever it takes but certainly wants to reap rewards for it. Gen Z typically likes to work alone and many of them would rather have their own office space as opposed to working in open and collaborative environments. This generation also prefers to manage their own projects, so their unique skill sets can be exposed. Gen Z does not want to depend on others to get things done. Millennials love to communicate via email, text, and anything other than face-to-face. The Gen Z group are huge in-person interactors and prefer it over the less personal email or text. Millennials have received a lot of “bad press” for being so attached to their phones and Gen Z wants to transition out of that shadow. This generation will want more in-person meetings to discuss projects, etc. Gen Z has known nothing other than technology their entire lives. They grew up with Facebook, texting, etc. Millennials still grew up with landlines and dial-up internet. While Millennials are tech-savvy, Gen Z has been living in a world of smartphones for as long as they can remember. This generations relationship to technology is almost instinctual rather than learned. Gen Z wants everything to be catered to their needs. This is why companies have had to re-think the amenities they offer and how they structure their offices in order to meet the needs of this young workforce. Companies now have to appeal to this younger mindset and have a less cookie-cutter approach to the environment they create for their employees. 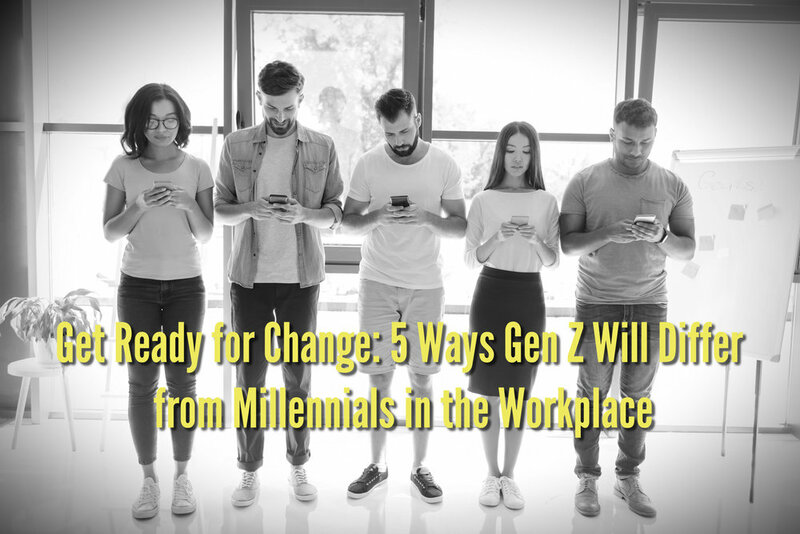 While millennials also expect the workplace to conform to their needs, for Gen Z, it could mean the difference between accepting a job offer or not. There are obviously very clear differences between these two generations. Yes, every member of a generation will have their own unique traits and characteristics, but overall you will see that Gen Z is a more independent and technologically-advanced group in comparison to Millennials.